How to Get Away with Murder will live on. Today, ABC announced they’ve renewed the TV show for a fifth season, Variety reports. 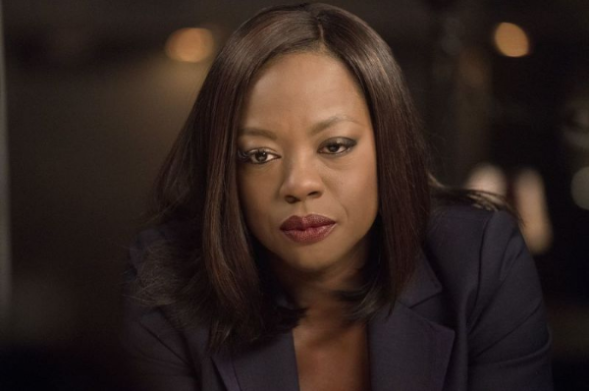 From Shonda Rhimes, the drama revolves around the world of Middleton University law professor Annalise Keating (Viola Davis) and the crimes that bind her to her students. The cast also includes Billy Brown, Jack Falahee, Aja Naomi King, Matt McGorry, Conrad Ricamora, Karla Souza, Charlie Weber, and Liza Weil. How to Get Away with Murder has been a solid hit for ABC for three seasons. And while the ratings did dropp in season four, the show still performed decently with an average rating of .94 in the 18-49 demo and 3.695 million viewers. What do you think? Do you watch How to Get Away with Murder? Will you watch season five? More about: ABC TV shows: canceled or renewed?, How to Get Away with Murder, How to Get Away with Murder: canceled or renewed? I love this show. I love that it is continuing season 5. Please keep it going for many seasons to come. I absolutely love this series!!!! I’ve gotten several friends watching it and I didn’t know about it until I seen it on Netflix… I became addicted to it! Finally finished season 4 and can’t wait for season 5! Five star rating for me! This is one of the greatest shows ever! Its amazing & I hope theres many more seasons to come. All the actors are great & they do an exceptional job! I agree completely, this is a great show. Im just learning tho the rating are dropping.. I truly season 5 will bring a whole new twist and get more people to watch the show. I am dying to watch season 5 !!! When I first started watching the show, I wasn’t sure that I liked it. I wound up watching the show from the beginning through season 4 and I kept saying NOW I HAVE to watch the next episode. I thought the 4th season was a killer and I know I’d watch the whole show again sometime in the future. Oh yeah! I’ll be watching! Love the show! I loved all the seasons it kept me sitting on the edge of my sit waiting for the next episode. I watch this with my daughter and we can’t wait for the next season to come on. It keeps you guessing what’s gonna happen next. We are so glad its coming back we can’t wait to see who the mystery guy is time will tell?? I have my own ideas. Absolutely I will watch it!! I put my HULU SUBSCRIPTION on hold because of Scandal ending, and LETHAL Weapon ending, and HTGAWM no shows. Yippee!! Our family loves the show and are very happy How to get away with murder is returning! Will definitely watch Season 5!!!! Yay..very happy that this show has been renewed!